Naples Reserve, home to the area’s newest lakefront lifestyle, is hosting the Collier Building Industry Association’s single-site Parade of Homes Feb. 17-19 and Feb. 24-26. More than a dozen decorated models by eight of Southwest Florida’s top builders will be open to the public during the event. The models, priced from the high-$200s to more than $1 million, include homes offering three and four bedrooms, 1,800 to more than 3,500 square feet of air-conditioned space, large outdoor living areas, private master suites, custom pools and spas, fireplaces and fire pits. 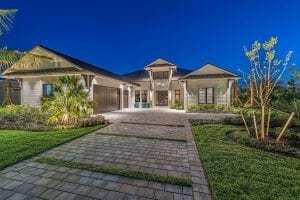 Homes feature Southern Coastal-inspired architecture and preview Naples Reserve’s emphasis on lakefront living. 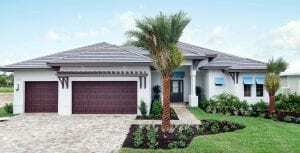 Naples Reserve has attached villas, single-family homes and custom estate homes built by Ashton Woods, D.R. Horton, Florida Lifestyle Homes, KTS Homes, Lundstrom Development, Marvin Development, McGarvey Custom Homes and Stock Signature Homes. The 688-acre community offers 11 neighborhoods woven into 22 freshwater lakes, including the 125-acre Eagle Lake with the destination Kontiki Island, complete with an oversized tiki hut. Buyers who purchase a home along Eagle Lake also have the option to build a personal floating boat dock behind their home. Parade visitors will also discover Naples Reserve’s unique amenities, including the recently completed Island Club, a private paradise that channels the ambience and spirit of Key West and Florida’s old beach towns. The club, inspired by five-star resorts, offers a pool – complete with a waterfall – plus beach volleyball and bocce ball courts, the Chat ‘n Chill Tiki Bar, a separate 3,500-square-foot fitness club and the 5,160-square-foot community center featuring Latitudes Cafe and the signature 850-gallon cylindrical aquarium in the Welcome Center. iStar was named 2015 Developer of the Year by Builder and Developer magazine for its commitment to creating exceptional communities and lifestyles with an emphasis on energy efficiency and environmental stewardship. Featuring sweeping open water views, many of Naples Reserve’s homes and amenities are located along the water’s edge. Lakes provide prime opportunities for kayaking, canoeing and paddleboarding and scenic vistas. Eagle Lake offers a mile-long stretch of lakefront nestled against the Picayune Strand State Forest, a 76,000-acre state park with protected pinelands, cypress swamps, marshes and abundant wildlife. Many of Naples Reserve’s amenities are now open. The lakefront Match Point complex, offering tennis and pickleball courts, as well as a community boating ramp, are slated to open during the first quarter of 2017.